GAME PREVIEW: Time for another men's basketball season. Tigers visit Virginia tomorrow night in a game starting at 7 p.m.
Pat Skerry's team is undergoing one of the most volatile roster turnovers in mid-major hoops this season. But the Tigers play a tough style and usually overachieve, so watch 'em steal games in the CAA. Final score vs. UVA was 73-42.... was a 9 point game at halftime. RECAP & PHOTO GALLERY: Towson drops opener of Bahamas Showcase to Pepperdine. GAME DAY: It's time to play ball in a few hours. Tigers playing Florida Atlantic. Coming down the stretch here and Towson has extended to a 75-66 lead with 1:42 remaining. Brian Fobbs leads Towson with a career best 22 points. TJ Howard and Nakye Sanders have 14 points each for the Tigers. Friday night will be the 19th all-time meeting between Towson and reigning regular season America East champ Vermont. 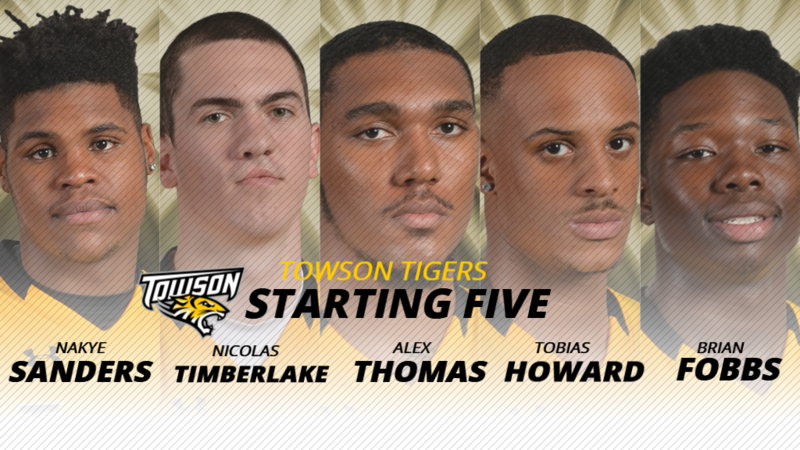 SECU Arena at 7 p.m. will be the place to be to support the Tigers in this quality non-conference tilt. This will be the first meeting since Dec. 5, 2012. SECU is a good place to watch a game. I live close and try to get to 3 or 4 a year. Towson and Vt. might be a good one. Towson is now 2-7 on the year.